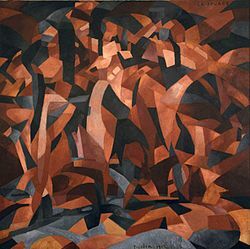 Francis Picabia (22 January 1879 – 30 November 1953) was a french painter and poet associated with the cubist, dadaist and surrealist schools of painting in New York. His father was of Spanish-Cuban descent and a diplomat. When Picabia was 15 years old he replaced all the old masters in his father’s house with copies he had painted and sold them to finance his stamp collection. He became enamoured of New York after several visits there from 1913-1915 and eventually settled, though he became addicted to alcohol and drugs and his health deteriorated. Eventually Picabia was able to over-come his drug problem, and lived until he was 74. He was heavily influenced in his early years by Alfred Sisley and later on by Marcel Duchamp. Before his death he became a friend of Gertrude Stein’s. I admire Picabia both for his work and his ability to over-come his personal problems and keep working. The first painting is an example of his “cubist” style, the second of the “machinist” style which he is credited with inventing. 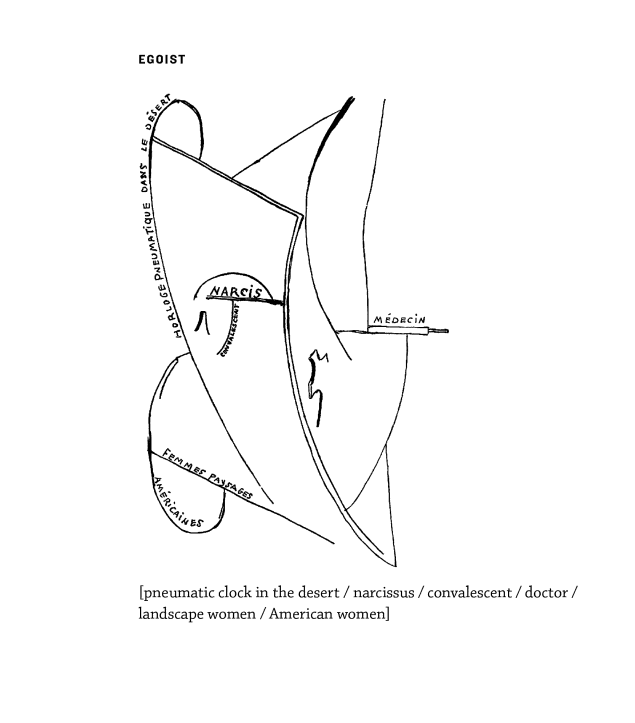 Gertrude Stein said of him, “Anybody called Francis is elegant, unbalanced, and intelligent.” Duchamp said that “With everyone else it was always ‘yes but.’ With Francis it was always ‘No because. '” Duchamp, Picabia and the surrealist photographer Man Ray were fast friends, and remained so up until their deaths. Very little of Picabia’s poetry has been translated into English. If anyone wants to buy me I Am Beautiful Monster: Poetry, Prose and Provocation for Christmas, I would be open to that.